The “information age” and the “digital economy” require most businesses to have a digital business presence of their own. “Be The Driver” – This is the road less traveled. With this approach, you begin by creating a strategic plan for your digital business with a clear vision of how your digital presence will integrate with your existing business, set goals and objectives, work out how you will manage your digital processes (e.g. content, marketing, web management) with the resources and skills you have available, then instruct your website developer to build you a digital vehicle that will put you in the driver’s seat and allow you to take it where you need to go to achieve your goals and realize your vision. Do You Build Websites Using WordPress? Will My Website Be Built With WordPress? Will You Configure My Website For Automated Traffic & Lead Generation? What Kind Of WordPress Training Do You Provide? How Do You Guarantee Results? As discussed in “The WordPress Paradox,” most web service providers build their business to keep clients dependent on using their services, not to empower clients to be in control of their digital presence. Unless you have a plan that specifies the kind of digital vehicle you need to take you where you want to go, you will most likely end up with a vehicle you can’t drive without the constant help of mechanics and technicians, that will keep costing you money to run, and that may only deliver you disappointing or mediocre results at best. Knowing what to ask your website developer will help them build you a digital vehicle that will not only save you time and money, but more importantly, put you in the driver’s seat and help your small business grow. Many businesses will meet with a website developer and spend their entire meeting focusing on things like the look and layout of their website, what features they would like their site to have, how much their site will cost to build, and how long it will take the website developer to build it. These things are important and should be discussed, especially if you are trying to help your website developer close the deal and sign you up as their new client. The goal, however, is to find a website developer that will follow your instructions and not try to hijack or derail your game plan. You want a website that is fluid and flexible enough to allow you to execute your digital strategies, help you achieve your goals and objectives, and allow you to quickly adapt to the ever changing landscapes of areas like technology, marketing and digital business itself … and have all this built and delivered in a reasonable time frame and within your budget! More websites around the world are powered by WordPress than any other website-building platform. In fact, over a quarter of all websites worldwide are built using WordPress. Supported by a community of tens of thousands of web developers (= continually updated to improve security, add new features and fix bugs & issues). Since millions of websites are now powered by WordPress (over a quarter of all websites worldwide), it’s very likely that your website will be too! With WordPress, you can build just about any kind of website you can imagine and easily change anything and everything on your site anytime you want. 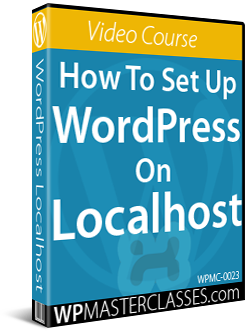 WordPress is also easy to use and requires no technical expertise or coding skills. 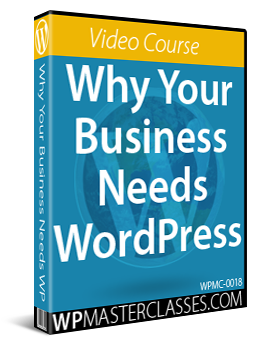 In fact, anyone can easily learn how to build, manage and grow a web presence using WordPress without hiring website developers (unless, of course, you want to). WordPress gives you a choice … you can do it yourself or outsource! WordPress also provides businesses, website owners and bloggers with many benefits and advantages. Not only is WordPress 100% FREE to download, use, and customize, so are many of the add-ons (called plugins and themes) that can enhance the functionality or design of your site. Paid (also called ‘premium’) plugins and themes generally tend to be very inexpensive. Most of the cost of building your website, then, should come from labor, not parts, i.e. 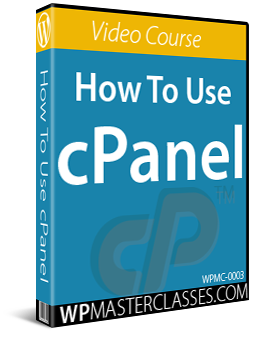 assembling and configuring your site, customizing templates and features, etc. A WordPress site can be literally installed in ’60 seconds or less’ (watch the video below) and will work just fine with only its default settings (although you will want to configure it for better results, as explained further below). The benefits of installing quickly and working ‘out of the box’ are many. As long as you can provide your website developer with all the information they need to customize and set up your site (see Initial Content Checklist), your website could be built and setup for use very quickly … often in days instead of weeks or months! It really doesn’t matter what your website looks like when you launch. What matters is that your web design is flexible and fluid enough to be able to change as more data emerges about how your your target audience engages and interacts with your site, so it can match their expectations and provide them with the best possible user experience. WordPress uses a unique system of web design templates (called ‘Themes‘) which allow you to completely change the entire look and layout of your website with one click without affecting the underlying content. This means that you don’t need to get hung up on web design. Just get started with a theme that you like and think is appropriate or suitable for your business (there are thousands of fully configurable WordPress themes to choose from). You can easily change or customize your web design any time you like. Just like WordPress themes make web design a non-issue, knowing what features your website needs before you launch is also not a big deal. WordPress is completely customizable and can be easily and instantly expanded any time you like using add-ons (called ‘Plugins‘) which are easy to install and designed to fully integrate with your website when you need additional functionality. Limited time offer and special offers, discounts, etc. With WordPress, as soon as you think of something you’d like to promote or communicate about your business, just write it and hit the “publish” button to make your information live and available online! If you haven’t discovered all the benefits and advantages of using WordPress yet, see our Introduction To WordPress tutorials. Now, what if your website developer tells you that they don’t use WordPress or don’t plan to build your site with WordPress? WordPress is an ideal platform for building and running most types of websites securely and inexpensively. 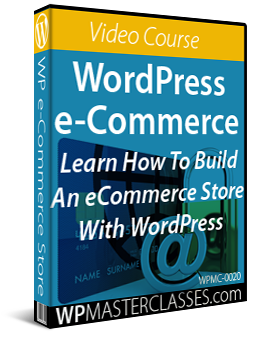 In addition to building professional business and corporate websites and blogs, WordPress also lets you build and run fully featured e-commerce stores, membership sites, social networking sites, business directories, portfolio/product catalogs, client support helpdesks, online training courses, lead generation sites, mobile responsive sites, and a whole lot more. If your website developer is not planning to use WordPress, you really need to ask them why not? Your website developer uses a proprietary technology. Web and digital service providers need clients to stay in business. As a result, many will “lock in” their clients into using proprietary solutions to keep them dependent on using their services. If so, there’s probably no benefit to you! WordPress is an open source technology that can be integrated with many different technologies, it’s supported by thousands of web developers and all of your data is stored in databases that can be easily exported for use with other platforms. This means that you are not locked into anything and can migrate your site elsewhere if required. Your website developer doesn’t know WordPress. If your website developer has never heard of WordPress, find another website developer. Everyone has biases! Some people prefer Apple, others Android. Some think a Ferrari is better than a Lamborghini, and others disagree. Website developers also have biases. When building websites for businesses, many website developers will choose applications that include a content management system. There are different types of content management systems, however, and the CMS platform your website developer may recommend will depend on their personal preference, familiarity, and their experience with particular platforms. Your choice of CMS vehicle, however, should be driven by the needs of your business, not the biases of your website developer or web designer. Your website developer doesn’t run your business, you do! Your website developer is also not accountable for the success of your business, you are! Whatever ‘bias’ they may have towards the platform you choose to power your own web presence, make sure that it’s ultimately your decision, not theirs. Choose a digital vehicle that will work for you and your business. This includes the advice you are receiving right now. I am biased towards using WordPress, because I have successfully built hundreds of WordPress sites for all kinds of purposes for well over a decade with no coding skills and without hiring website developers. Do your research and due diligence and decide on the web platform that is right for you and your business needs! “I want you to build an automated content distribution, traffic and lead generation, and sales & marketing system for my business! 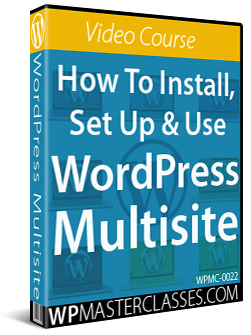 Configuring WordPress settings, plugins and external services is what will probably take up most of your website developer’s time building your website and driving up the cost of the service. More features and automation requested = more setup time required = higher website cost! 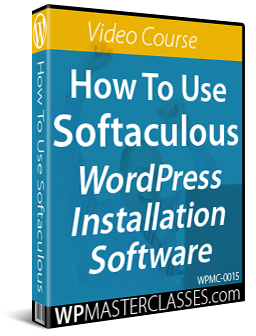 For more information on how to expertly configure WordPress, see our WordPress Configuration tutorials and our WordPress Traffic Automation Blueprint tutorials. Many website developers advertise building websites that clients can “manage themselves.” When you look deeper into it, however, what this often means is that clients will be able to add, modify and delete their content on the site, but do little else on their own. As we point out in “The WordPress Paradox,” many web and digital service providers don’t really want you to manage your own website. They want you to pay them to manage it for you. Not only do most web service providers depend on keeping clients using their services in order to stay in business themselves, many also believe that clients will “stuff things up” if they were to manage their own sites. What you need to know before approaching website developers, however, is that you have a choice! WordPress users can easily manage every aspect of their own websites if they choose to and most tasks can be performed with just a few clicks of their mouse. The video below shows how any WordPress user can easily maintain their own website fully up-to-date in minutes, just by clicking a few buttons … and without touching code! To learn more about managing and maintaining your own website, see our WordPress management tutorials. The aim of this article has been to educate and inform you about the benefits of using WordPress to build your website or blog. Unless you have a specific reason not to choose the WordPress platform, WordPress can give you a digital vehicle that will automate your content distribution, traffic and lead generation, and sales and marketing, that you can fully manage yourself if you want to, and that will work for you and your business. Having the right digital vehicle that puts you in the driver’s seat and in control of your digital business presence, however, is just half of the solution. You also need the keys to drive your vehicle! As we explain in The Challenges Of Educating, Teaching, And Training New WordPress Users, most website developers do not invest sufficient time, effort, and resources into creating an effective training system for showing new clients how to use WordPress. As we also explain in “The WordPress Paradox,” one of the reasons for this is that their businesses are not geared towards empowering their clients to be in control of their own digital presence. Expect, therefore, to receive only basic training from your website developer on how to use your new website. 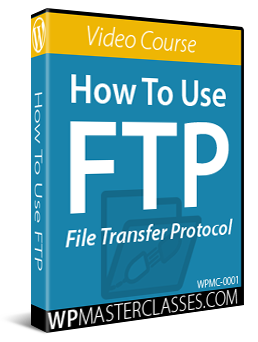 If all you are going to get from your website developer is basic training, what happens when you need to get things done that fall outside the training you’ve been given? 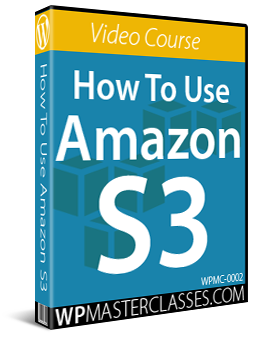 Are they going to remain continually available to service your needs, answer your questions, and show you how to use all of the other features of your website? If so, are they going to continually charge you for this? If you want to be in control of your web presence, you are probably not going to get it from your website developer, but don’t worry. 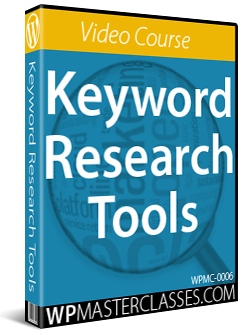 We provide the most comprehensive WordPress training system available online for beginners for FREE! As your business evolves, you will need a team of technical and digital service providers that can deliver you results. How are they able to keep their promises to clients and deliver results? How are they able to provide additional services and deliver results? What happens to your results if something happens to them? If you plan to outsource, you have to know what external systems and resources your business will need to rely on to make sure that you can also deliver on your promises to customers. Like many businesses, web developers and digital marketers are also under financial pressure from having too much competition and not enough clients and this can drive some to make promises they cannot deliver without having the systems and resources to back these up. We all want websites that will deliver great results … fast! As we explain in “The Digital Business Game Plan,” however, a website can’t create results by itself. Results come from implementing strategies and systems and from performing many time-consuming and resource intensive activities. If a website developer promises to build you a website that will deliver your business great results, ask them exactly how these results will be generated. What assumptions are they making about their clients’ businesses (i.e. about their systems and resources)? What systems and processes will they build into your website to make these results happen? What else will they do to help you generate these results? What will you need to do to generate these results? If additional services are needed, what resources and systems do they have in place to guarantee these results and what additional costs are involved? All marketing-savvy businesses know that it’s far more profitable and cost-effective to upsell existing clients additional services than to find new clients to service. For this reason, many website developers offer clients additional services like web content creation, SEO consulting, online ad management, etc. Many website developers servicing small businesses, however, are just small businesses themselves who either work alone or in small agencies and who lack the resources and the systems to provide a complete suite of technical or digital services. So, for instance, if you were to take up their offer to have them create content like articles for your website, how would they do this? Do they have the resources, systems, and capabilities to understand your business, help you develop an effective content marketing strategy, and regularly spend time planning, researching, and writing high-quality content that will engage your audience and add value to your readers, and get all this done within your marketing budget … or are they just going to farm out the work to freelance article writers and give you back a bunch of cheaply written generic articles? Most experts store years of knowledge, experience, and expertise inside their heads. If your business depends on experts and most of the systems responsible for running your digital business is stored inside their heads, then expect some serious headaches in your business. Many small business owners will throw their arms in the air, say “I’m too busy, I don’t have the time” or “this is too technical and complicated” and put a website developer or digital/SEO marketer in charge of their digital processes. You can avoid the problems this will create for your business by simply becoming more informed about your options. Continue learning all you can about the benefits and advantages of using WordPress. Interview website developers until you find someone who understands your game plan and what you are trying to achieve and who will agree to empower you as a member of your digital business team. Once you have found the right website developer by asking questions designed to filter out service providers who will try to impose their game plan on you, you can then engage in detailed discussions concerning web design and layout, additional features, and projected cost and delivery times. “The Small Business Digital Manager” expands on many of the topics covered in this article. It will help you create a practical strategic plan for growing your business online, improve your results online, and help you avoid becoming a “hostage” of your service providers. Our mission is to empower WordPress users to have complete control of their digital presence. 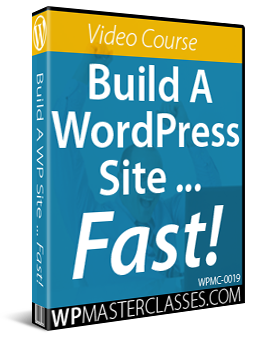 We provide hundreds of detailed step-by-step WordPress tutorials that show you how to build, manage, and grow a professional website with no coding skills required and at minimal cost … for FREE! We hope that you have found the above information useful and helpful.